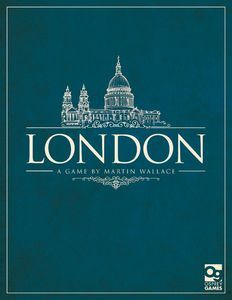 London is a 2-4 player game with a playing time of approximately 90 minutes. Almost 250 years of the city’s history is recreated in this game. Many of the most famous buildings and monuments are captured in detail on illustrated cards. These elements are presented in a relatively simple game that can be played easily within ninety minutes.